1.1) These rules are drawn up based on the law of Poland July 18, 2002 about the services over electronic communications systems. d) Purchase Agreement - the contract concluded between the Seller and the Buyer in momet when the buyer pays the Order; on the basis of the contract the seller is obliged to send to the Buyer permission in electronic form to visit Belarus, Grodno city and part of its area, including the Augustow Canal on the Belarusian side. e) Resolution (or Pass) - a document entitling the buyer to enter the Grodno region of Belarus without having a Belarusian visa in the specifically chosen time. g) The working day - day of the week from Monday to Friday excluding holidays in Belarus. 2.1) Pass to Grodno, part of his district, including the Augustow Canal issued travel agencies in Belarus. Passes are paid. 2.2) Service allows you to buy a pass through the Internet in electronic form. a) one document pass costs 50 polish zloty. b) for a group of 4 people (four or more) 10% discount. Price for one pass when you order four or more is 45 PLN. c) for a group of tourists from the 20 (twenty or more) 20% discount. Price for one pass when you order twenty or more is 40 PLN. 2.4) To buy passes is possible only 2 working days before planned visit to Belarus. 2.5) To obtain passes the Buyers must provide their data via a special form on the Service. Birthday - Year, Month, Day. Period of trip to Grodno and region - Buyer must specify a period of maximum 5 days when he will go to Belarus without a visa. E-mail - to this address will be sent the Pass. 2.6) Service will fail if not all of the data listed in 2.5 will be send by the Buyer. 2.7) At the moment when the buyer pays for the order, automatically it means his agreement to these Terms of Service. 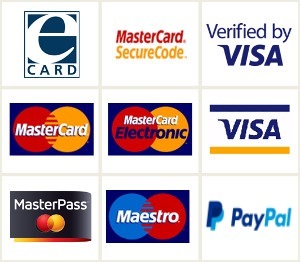 2.8) The seller accepts payment online by ccredit or debit cards, Paypal and bank wire. 2.9) Service cooperates with the Belarusian side: with travel agency that the on Seller's request provide the passes to the Buyer and notify the Border Committee of Belarus. 2.10) When the Pass is ready, the buyer will receive it in electronic form to the e-mail specified during the order. 3.1) The time of the order execution means the time from the date of payment made by the Buyer until the Seller will send the Pass on e-mail address of the Buyer. 3.1) Orders paid online are executed immediately. The permit will be delivered to the Buyer email within 1-5 minutes. 3.2) Orders paid by bank transfer will be made within one hour from the time of booking payment on the account. Transfer to a bank account may take up to 5 working days. 4.1) Changing the data is only possible if the order was placed and paid in the time interval from 20:00 to 5:59 the next day, on the condition that the change request will go to the Seller until 06:00 am on the same day; or if the order was made in the time interval from 20:00 on Friday until 5:59 next Monday, but the Buyer contacted Seller until 06:00 am this Monday (Belarusian Time). 4.2) To change the data the Buyer must write to the Seller in contact form on pages https://bezviz.by/en/grodno/ or https://bezviz.by/en/brest/. 4.3) Change of Buyer data in other cases than described in 4.1 is not possible. Section 5. Responsibilities of the Seller. 5.1) Seller shall send to the Belarus in order to provide The Border Guard information about travelers travelers who have come without a visa to Grodno and the surrounding area. 5.2) The seller must control the correctness of the transmitted to Belarus information and monitor the process of creating a Pass in Belarus. 5.3) Seller shall immediately contact the buyer in case of refusal of entry for him to Belarus and return the money. Section 6. Responsibilities of the Buyer. 6.1) Before placing a order the buyer must make sure that his passport is suitable for trips abroad. 6.2) The buyer is obliged to provide correct data from passport and contact details when placing an order on the Site. 7.1) Payment for a Pass can be made using online bank card paymenr or Paypal system. 7.2) Bank card payment served by eCard S.A.
8.1) Only the Buyer can make a complaint to the Service in writing way to the address of the Service. Complaints filed by other persons will not be considered. 8.2) Complaints about the services can be provided in any time. 8.3) All complaints are dealt within 14 working days from the date of receipt by the Seller of a written complaint, except for the days when the complaints will require clarification of details complaints by the Buyer. Section 9. Refusal from Service. 9.1) Refuse from the Serice is only possible if the order was placed and paid in the time interval from 20:00 to 5:59 the next day, on the condition that the change request will go to the Seller until 06:00 am Belarusian time on the same day; or if the order was made in the time interval from 20:00 on Friday until 5:59 next Monday (Belarusian time), and the Buyer contacts seller until 06:00 am this Monday (Belarusian Time). 9.2) In case og refusal of service Buyer must write to the Seller in contact form on the main page of the Service. 9.4) Refund will come in the payment card account with the help of which was produced the order. 9.5) Refund for payment made by bank wire will occurs as agreed between the Seller and the Buyer. 9.6) Refund for order paid by Paypal will be made to the paypal account of buyer. 9.7) Refuse from the Serice in any other case is not give the right to a refund. Section 10. The refusal of the Border Guards of Belarus. 10.1) Seller returns 100% of the money received from the buyer, if the Border Guards of Belarus refused visa-free entry to Grodno for the buyers in the selected dates, only if such a refusal will be done before the first day of visa-free travel. 10.2) Seller shall notify the Buyer about refusal entry to Belarus by a telephone, or when there is no phone contact in an email. 10.3) Refund will come in the payment card account with the help of which was produced the order. 10.4) Refund for payment made by bank wire will occurs as agreed between the Seller and the Buyer. 10.5) Refund for order paid by Paypal will be made to the paypal account of buyer. Section 11. Personal Data Security Policy. 11.1) Pursuant to Regulation 2016/679 of the European Parliament and the Council of 27 April 2016 on the protection of personal data (hereinafter: GDPR), we provide protection of all personal data that have been obtained as a result of conducting business and the execution of your orders on our website. 11.2) The Seller warrants that the personal information of the buyer will be processed solely for the purposes of the contract. 11.3) Seller exclusively for the purpose of performance of the Agreement will transfer personal data of the Customer to the tourist agency "Студия Отдыха" in Belarus, which transmits this data to the Border Guards to Belarus and in order to conclude an insurance contract in Belarus, the Customer's data is transferred to TU Europa in Poland. 11.5) The Seller will not provide customer information to third parties except listed in 11.3 cases. Section 12. Visa-free tour rules in Belarus. 12.1) without a visa can be only in the period indicated in the Agreement. 12.6) At the moment of entrance to Belarus a tourist should have 22 euro on each day of stay in any currencies. 12.11) Violation of visa-free stay is punishable: fine up to 1275 BYN, warning or deportation. 12.12) If it is impossible to provide a quality service for organizing a trip to Belarus, R.B.WEB may refuse to provide services to the Client. In this case, the buyer will be notified via contact information from the Agreement at least 36 hours before the scheduled visa-free travel, and the total amount spent on the order will be returned to the buyer within 5 working days.